Is there a prescription for that? Soooooo Today I went to the Doctor ALL BY MY SELF! You want to know how long it has been since I have done that? I have this phobia of hospital and blood and needles and well everything that has to do with that! Why? I'll tell you why! 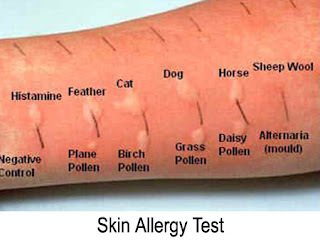 Today I had an allergy test. I've been sick for quite some time now. This is what my Dr. said to do. I got there at 9:00 and didn't leave till 10:30 an hour and a half alone. I'm pretty proud of my self, it wasn't easy. The nurse sat me down and asked me a bazillion questions. EX. Is it worse at night or when you wake up. Have you noticed any allergies. What foods don't you like. All sorts of random things. I then started to well be a BIG BABY! More like Beer for my HAIR! I have been asking around to see what to do to stop from looking like the sun! I went to color fest again for the 4th year in a row and well you'd think i'd learn. 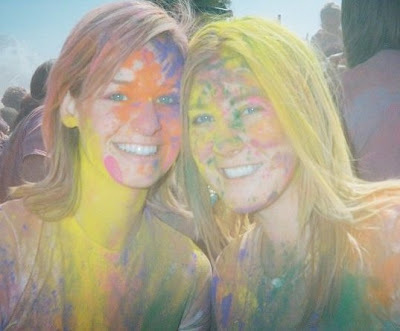 Anyway back to the remedies of getting Hare Krishna color out. 1. BEER, Its nice to be carded rather than just at the movie theater. Which reminds me. People that think I am 17 years old need to think twice. I may act 17 ;) but I am not I am going to be 23 this year!!! WAHOO! Why Beer? Because I will do anything to get this color out. It did an okay job. I'm not glowing anymore, but its still not me.